Home> Media Library> Galileo: Alba and Oriana in orbit! Oriana is over the moon. The Galileo satellite named after her was successfully orbited from Kourou during the night of 10-11 September by a Soyuz launcher. Oriana is a junior high school pupil from Roubaix who took part in 2011 in the drawing competition organized by the European Commission to name the Galileo satellites after children from its member nations. She came out the winner of the competition in France, and her name was given to the 10th satellite. Alba, the 9th Galileo satellite, is named after a young Spanish girl. From 2016, in addition to Soyuz orbiting 2 satellites on each launch, Ariane 5 will provide the capability to orbit 4 Galileo satellites on a single launch. 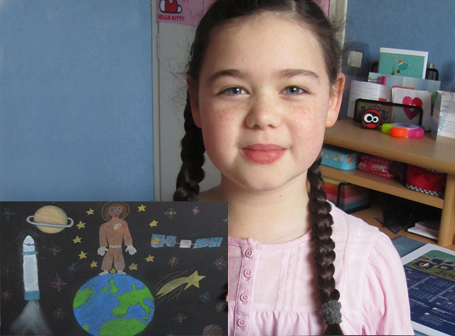 Oriana with the drawing that won the competition, giving her name to one of the two Galileo satellites launched on the night of 10-11 September. Credits: City of Roubaix. 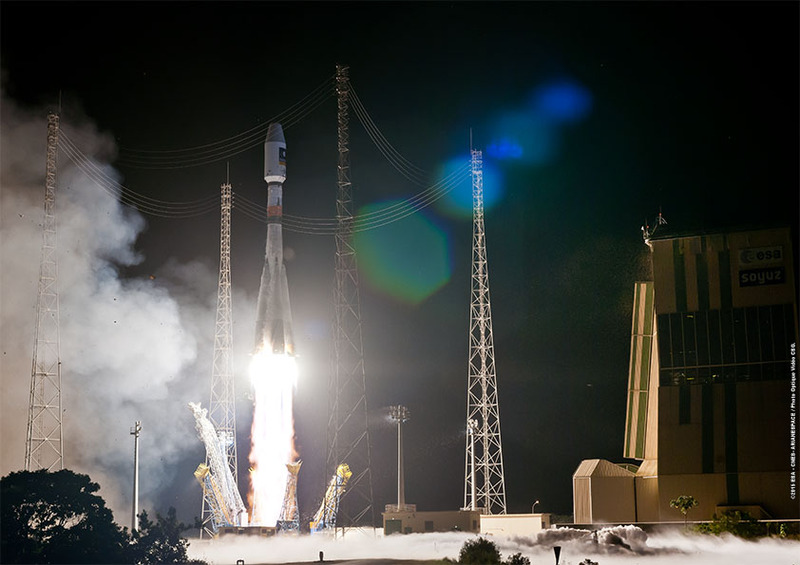 Galileo is Europe’s global satellite navigation system. Ultimately, it will be formed of a constellation of 30 satellites. CNES was closely involved in developing Galileo and defining signals. One of the two control centres used for the satellites’ launch and early operations phase (LEOP) is located at CNES in Toulouse.